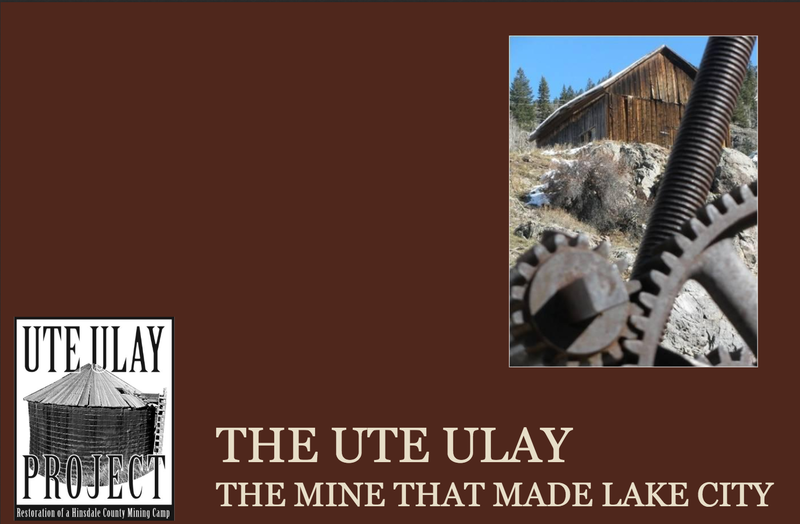 LKA recently transferred ownership of the historic Ute-Ulay town & mill sites to Hinsdale County, Colorado. These properties are part of LKA’s 285 acre, Ute-Ulay mine complex located on Henson Creek just off Engineer Pass west of Lake City, CO.
LKA’s donated the land, historic buildings, and the structures that comprise the original Ute-Ulay mining camp to the County for restoration, preservation and public display purposes. The site includes the original miners’ boarding house, a blacksmith shop, several head frames, assay lab, powerhouse and mill buildings. Some of these structures date back to the late 1800’s when 250-300 miners worked the rich galena (silver) veins of the Ute and Ulay mines, the first significant discovery of silver in the district. The mines and mill were the primary catalyst for the establishment of Lake City, the seat of Hinsdale County, and home to most of the early miners from 1874-1940.
have played an important role in bringing together these diverse public and private groups to make this a reality. LKA is proud to be involved in this unique project/effort to preserve this iconic symbol of the area’s rich mining heritage for the residents of Hinsdale County and the State of Colorado.